Spoon, Jeremy. 2014. 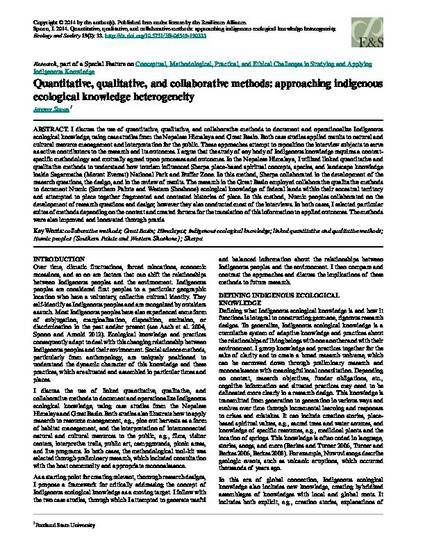 Quantitative, Qualitative, and Collaborative Methods: Approaching Indigenous Ecological Knowledge Heterogeneity. Ecology and Society 19(3): 33.